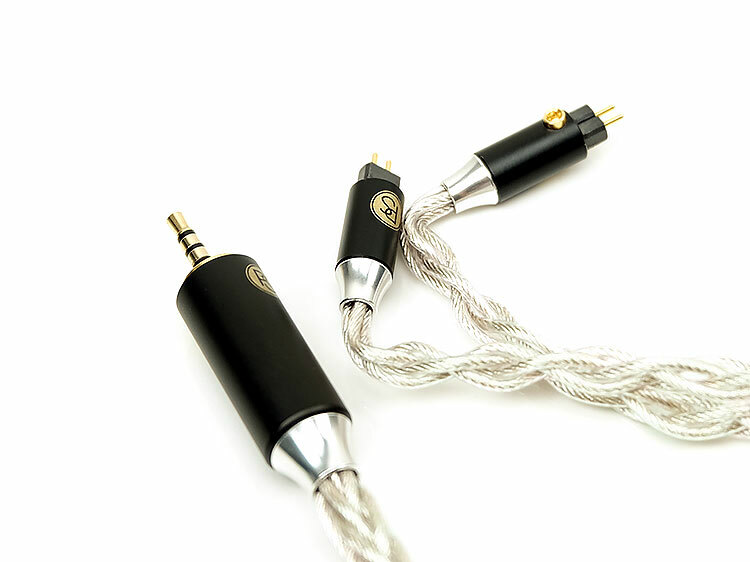 Disclaimer: The PLUSSOUND Tri-Silver cable sent to us is a sample in exchange for our honest opinion. We thank the team at PLUSSOUND for giving us this opportunity. 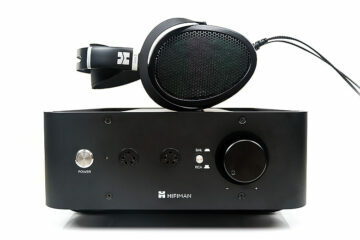 To read more about PLUSSOUND products reviewed on Headfonics click here. We reviewed the PLUSSOUND Tri-Copper Exo Series back in May 2018 and it was my first PLUSSOUND cable review experience. Throughout our testing, I thought it was a competitive alternative to some of the trendsetting Asian cable makers out there with its smooth sounds and excellent build quality. In my conclusion, I mentioned that it was a “preference” choice given its rich “phat” sound that good copper mixes can often produce and would be an interesting contrast to generally cleaner silver cables. Well, here comes that contrasting silver cable competitor from PLUSSOUND called, logically enough, the Tri-Silver. 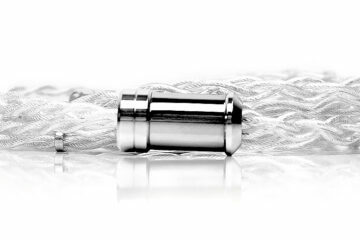 This is a triple mix of pure silver, gold-plated silver and the new hot mix in IEM cables, palladium-plated silver. You can get it in 4-wire under the Exo Series or in the case of this sample, 8-wire under the X8 series. It costs $1599.99 making it the most expensive cable I have reviewed to date. PLUSSOUND rarely launches a new cable without looking at the bigger picture. That means more than just a new wire, but also the entire build gets a “revamp”. And so it is also the case with the Tri-Silver X8. 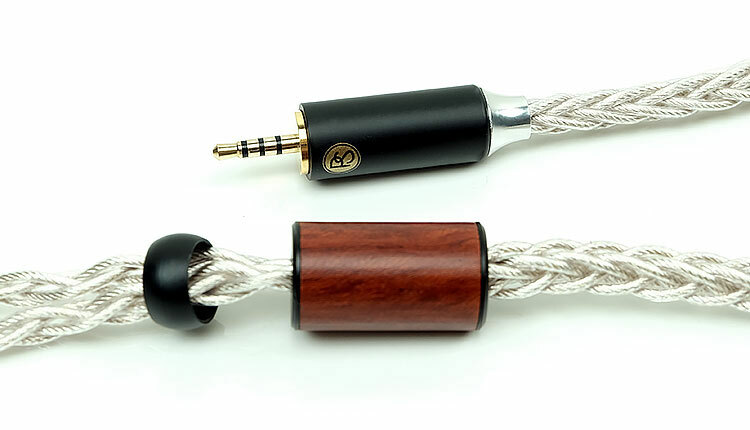 This is the company’s new flagship cable and builds on the Tri-Copper concept only this time offering the unique signature of silver and variations thereof. This is a mix of 3 different types of silver both regular and exotic. The three types include highly conductive pure silver, more resistive gold-plated silver and the rather expensive to procure palladium-plated silver. The Tri-Silver comes in two flavors, a 4-wire and 8-wire build. The 4-wire build is $799.99 and can be found under their Exo-Series range of cables. The 8-wire is priced at $1599.99 and is the flagship cable of their X8 series which is their 8-core category. 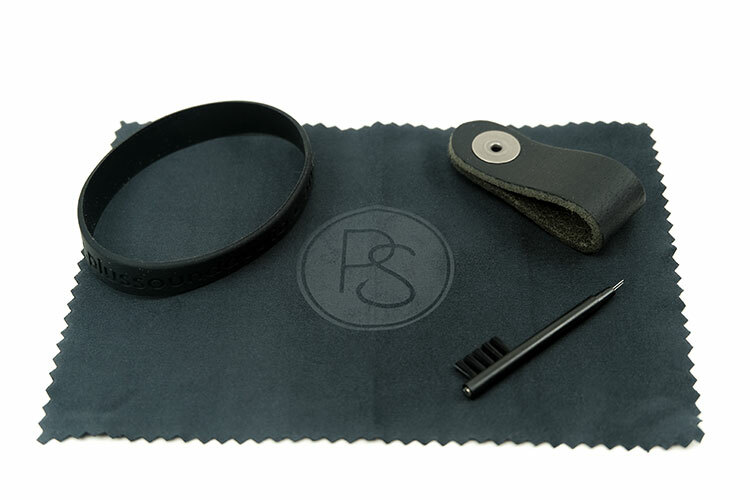 With the use of palladium-plated silver, PLUSSOUND becomes the second IEM company to incorporate this expensive material into their cable tuning alongside Effect Audio of Singapore. They may not be the last given the rapid uptake of this material. Palladium in audio has been around for quite some time and is nothing new in that sense. This is not a cheap metal to acquire and work with. The raw material combined with processing and application in wiring is significantly higher than gold, copper or silver. Palladium is also significantly less conductive as an element than either silver and even gold. In fact, silver is generally acknowledged as the most conductive element in audio wiring. However, resistance in wiring can be used to achieve a certain type of signature so it is not necessarily a negative feature if the application of the metal is correctly done. The geometry of the wire build is unchanged from the Tri-Copper build with the use of a Type 6 Litz wire. A type-6 wire is a fairly advanced Litz configuration. The geometry is certainly a lot more complex as it features bundles of type-4 wire twisted around a fiber core whereas Type 1 and 2 wiring has no individual cores. However, with the use of Litz Type 6 and doubling the core count to 8 the inherently higher levels of resistance in the smaller gauge level should be much less of a factor in the X8 Tri-Silver’s performance. This is pretty similar to how Effect Audio have been able to drop down to 26AWG without a drop in performance of their copper hybrids due to the mix of Litz wiring. Right away I need to say that the Tri-Silver aesthetic and build quality are perhaps the best I have ever seen on any cable to date. Perhaps it is my love of 8-wire builds. Now, I know that size is not for everyone but the added girth of the X8 build really shows off the intricacy of the cable finishing far better than any 4-wire variant. The Tri-Silver visual is very similar to the EA Leonidas 2 in terms of that strong wire twist design that can be clearly seen behind the translucent PVC PS jacket. It also has a very attractive shimmer under strong light and at the same time providing a very different contrast to the copper glow of the previous Exo Tri-Copper cable. The cables woody barrel accents offer a welcome organic contrast alongside the black and chrome finished jack and connectors. The whole build of the Tri-Silver reeks of premium and the handling really reflects that also. I call it the “snake” and in your hands, you will understand why. Because it is an 8-core and not 4 the thickness is much greater than the Leo 2 but it is not quite as heavy as the Janus Dynamic 8-core build. because of the smaller wire gauge. That 26AWG is just a little lighter in the hand than the 24.5AWG Janus Dynamic build and also slightly suppler. However, what impresses me the most about the Tri-Silver handling is the braiding tightness factor. The throw on the braiding is among the tightest I have seen to date on an 8-wire build yet it remains incredibly pliant. All credit to the flexible PS insulation (PVC) jacket which means you get minimal resistance, zero tangles or memory retention and excellent low-microphonics levels. As with all PLUSSOUND cables, you get a wide choice of connector options from MMCX, Fitear, and IPX to name but a few. The review sample option here is a 2-pin 0.78mm and great pins at that. Sometimes I get a little cable pin resistance when inserting into various monitors that require me to go slow a bit. Not so with the Tri-Silver. These fit in really smoothly and do not feel loose either. Aside from the nice pin fit are the new connector barrels which are a big upgrade on the older heat shrink wrapped black barrels of the Tri-Copper Exo series sample we reviewed back in May. Now I believe these new barrels will be available on future editions of all builds so you will not be losing out regardless of cable choice. The new connector barrels have a beautiful chrome metal finish for the cable entry with a sold black coated aluminum body. In the outside of the black coating, PLUSSOUND has upgraded the old red and blue brand labeling with gold screen printed logos that will not chip or fade over time. You do lose a little in the way of immediate channel matching but the bend of the main wire at the exit points make it really easy to discern which channel is which. As always, the screw faces to the outside and the labeling to the inside. The same design and finish is also applied to the jack barrel so the whole design is quite harmonious-looking. This particular finish is a 2.5mm TRSS which I prefer to 4.4mm as I can use adaptors to go 3.5mm or 4.4mm and keep things flexible. You can, of course, choose your own at check out which includes balanced and unbalanced 3.5mm, 4.4mm 6.35mm and RSA type. The premium Rosewood finished barrel is not a redesign but it is the first time I have received one. It is a little bigger than the EA chrome metal alloy bodies used on the Janus and Leo 2 but it is also lighter with that wood laminate and stiffened plastic design. I do have a preference for the patina-style tanned leather finish on the Leo 2 to be fair. However, the wood tones on the Rosewood finish combined with the black aluminum cinch do offset the silver of the main cable in a similar pleasing manner. Given the larger size of the cable, you will feel some additional pressure over some 4-wire builds and those with glasses might find it a touch harder to work with. Those are the cons. However, the pros of the absence of memory wire and the lightweight build quality of the Tri-Silver honestly make this an extremely comfortable 8-wire to wear over the ear. The density and weight of the build are just right to negate the need for memory wire as it just simply drapes over your ear without any adjustment. 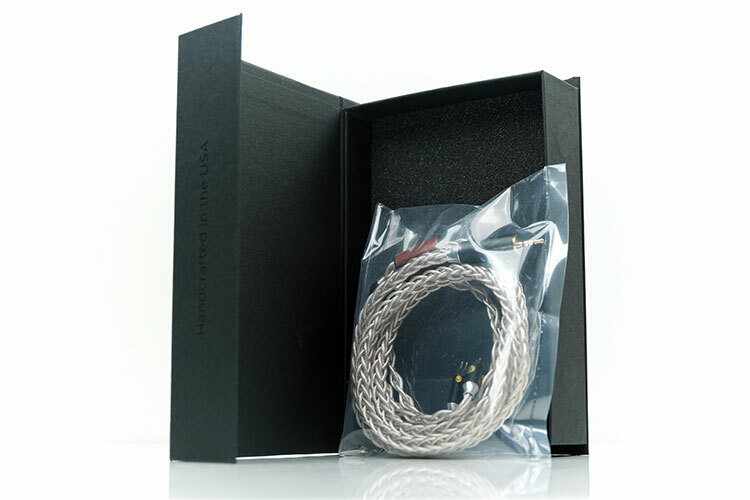 The Tri-Silver cable, including accessories, are packed into the same regulation black box as the Tri-Copper with a printed sleeve showing a cable design on the top. The instructions and some specs are now on the back of the box. You will know which cable you get specifically from the supplied invoice when purchasing. Those who purchase from distributors and dealers have labels on the packaging to indicate specs. Aside from that, the contents of the box are not a huge upgrade on the previous Exo Series Tri-Copper packaging with a set of branded rubber straps, microfiber cloth, cable band, and cleaning tool. The cable itself comes sealed in a plastic bag. I am glad they have included a decent leather snap cable band in the packaging which was not there before though for the X8 a small carry pouch would have been ideal since it is a top of the line cable.